Benjamin Newton Duke (April 25, 1855 – January 8, 1929) was a U.S. tobacco, textile, energy industrialist and philanthropist. He was the son of Washington Duke and half-brother to Brodie Leonidas Duke (1846–1919) and full brother to James Buchanan Duke (1856–1925). On February 21, 1875, Benjamin Duke married Sarah Pearson Angier with whom he had a daughter, Mary Lillian Duke, and a son, Angier Buchanan Duke. He entered his father's tobacco business and built a large Queen Anne house near downtown Durham in 1887, which he called "The Terrace." In 1890, became vice-president of the American Tobacco Company. 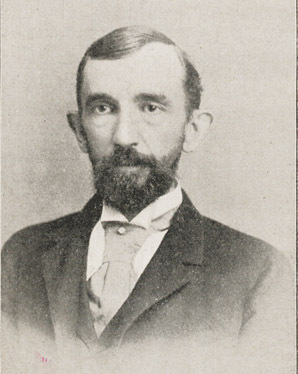 In 1892, the Duke family opened their first textile business in Durham, North Carolina with Benjamin Duke at its head. In 1905, he and his brother James founded the Southern Power Company which became known as Duke Power. The company supplied electrical power to the Duke textile factory and within two decades, their power facilities had been greatly expanded and they were supplying electricity to more than 300 cotton mills and other industrial companies through an electrical grid that supplied cities and towns in the Piedmont Region of North and South Carolina. As with a number of other wealthy industrialists in Durham, Ben Duke purused the 'gentleman farmer' ideal, purchasing a large tract of land in Orange County and building a (more muted than the Terrace) Victorian house on that land in 1896. In 1911, he moved the Terrace across Chapel Hill St. and built a chateau-inspired house of granite and brick on its former location, which he called Four Acres. Benjamin Duke and his brother were major contributors to the economic growth of the North Carolina economy and would expand into other areas with sizable investments in railroads and banks. Benjamin was a primary benefactor of Trinity College after it relocated to Durham in 1892. Over the years he donated substantial funds for improvements, additions, and scholarships. Between 1926 and 1929 he donated approximately $3,000,000 (more than $30,000,000 in 2005 dollars) to twenty-seven different southern institutions of higher learning. Today, Duke University offers the B. N. Duke Scholars program. Following his passing at his home in New York City in 1929, Benjamin Duke's remains were brought back to North Carolina for interment with his father and brother James in Memorial Chapel in the Duke University Chapel on the campus of Duke University.